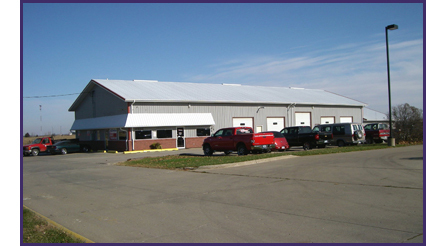 Advance Transmission Auto Center, Inc. is a family owned and operated business established in 1988 by Bruce and Chris Micetich. We have high standards for quality, timeliness, reliability and fair pricing. We offer experienced technical specialists with friendly, complete and reliable service. We offer a complete line of automotive repair services (with the exception of exhaust and alignments). We specialize in transmission repair of all makes and models, foreign and domestic, heavy duty, RV, high performance and custom applications. We utilize the industry’s best products and the latest updates to produce the highest quality transmission available. We have highly skilled and experienced transmission builders and certified automotive service technicians. Our technicians are continually updated with the latest materials and equipment to better service your vehicle. Because today’s vehicles are controlled by computers and electronics, you need a real transmission expert and qualified technicians to properly diagnose the problem. Transmission problems should not be ignored, no matter how minimal. The longer the problem continues, the more damage may be caused. The technicians at Advance Transmission Auto Center, Inc. will run a series of diagnostic tests to find out what is causing the vehicle’s problem. We pride ourselves on our integrity and reputation for honest and reputable service.